This modification will add the Exo suit from the Call of Duty: Advanced Warfare. Wearing a suit, your character will get a lot of advantages in the battle - he will have a lot of different opportunities. 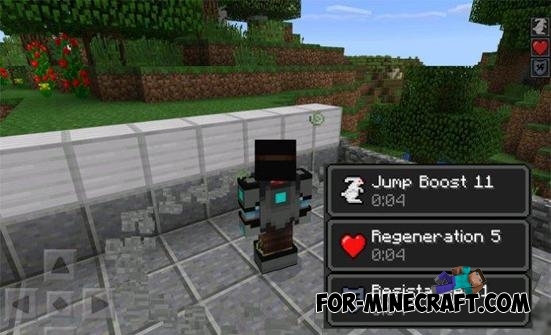 You can get a regenerative effect (self-healing), increase the jump, speed running, and be almost invincible.